This unicorn lamp has two kind--Floor lamp&Table lamp.You can choose the right size you want. Healthy and harmless high quality cotton,and the lamp shape is made of fabric,you can put it in your kids room,without worrying any bad situation with your child's healthy.Energy saving, a good decoration for living room, bedroom, girls room, nursery and reading room.Best Gift for Kids Birthday,Christmas,Valentine,Baby Shower & many happy moments. Healthy material--Healthy and high quality cotton inside the unicorn table lamp,and the lamp shape is made of fabric.You can let it stay all day long with your kids. 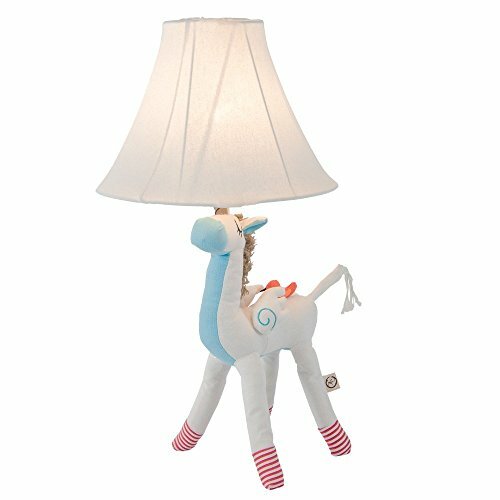 Cute lamp shape--Cute cartoon animal unicorn lamp body, it's not only a reading lamp but also a lovely toy for you. Eye caring led light source--With a high quality led light bulb can protect your eyes well. Widely used--Fits for your bedroom,living room,kids room,nursery,reading room and any other moments. If you have any questions about this product by Dengbaba, contact us by completing and submitting the form below. If you are looking for a specif part number, please include it with your message.